Bill Daniels and Alan Harmon, two men who have worked side-by-side in the cable television industry, are the general partners for the LA Express. 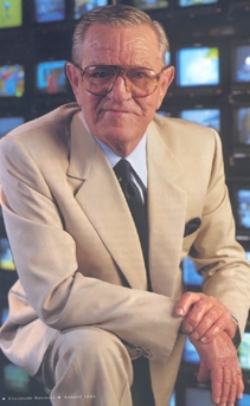 Numerous industry publications have referred to Daniels as "the father of cable television," the individual who has done the most to further growth of the cable television business with regards to the public interest. Daniels is the chairman and owner of Daniels & Associates, Inc., in Denver, the alrgest investment banking firm in the United States devoted to the cable television industry. Daniels is also actively involved in the operation of 23 cable television systems in 11 states. Harmon's cable television experience covers 23 years. A major portion of his career was spent working with Daniels & Associates. Harmon now owns and operates his own cable television brokerage and consulting firm, Harmon and Company, in Englewood, CO. His bueinss includes the ownership of 20 cable stations in six states. Harmon is president of the Express, oversees the entire operation of the franchise and acts as liaison between the team and USFL league office. He's also a member of the USFL executive committee. Harmon is a graduate of the University of New Mexico with a degree in business administration. He is a past president of the Colorado Cable Association and has served extensively on various committees for the National Cable Television Association. Daniels has been active in professional sports in the past. He is a former owner of the Utah Stars franchise in the American Basketball Association, a league he served as chairman. He also guided heavyweight boxer Ron Lyle to a title fight. Daniels was a candidate for governor of Colorado in 1974 and is a past Republican national committeeman from that state. Daniels was a fighter pilot during both World War II and the Korean War, destroying 11 enemy aircraft. He retired as a full commander in the U.S. Navy. He makes his home both in Denver and Del Mar, CA. Harmon and his wife Susan are the parents of five children and reside in Marina del Ray, CA. 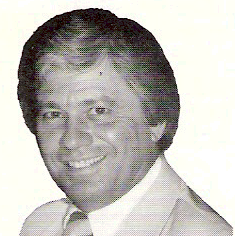 Harmon and Daniels owned the Express for its inaugural 1983 season, selling the team to J. William Oldenburg, a colorful character with the nickname "Mr. Dynamite." The men each returned to tending their cable television-related enterprises. Harmon died on November 11, 1997, while Daniels died on March 7, 2000 after a long illness. Daniels, known during his life as a man of compassion and generosity, continues "expressing" those traits through a charitable foundation he established.